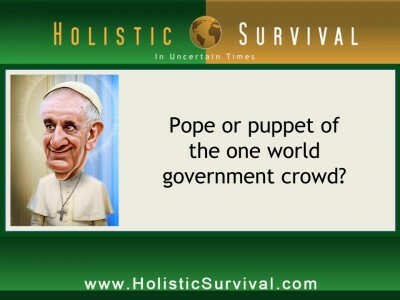 Governments and globalist elites infiltrate more and more of people’s lives worldwide every day, and according to Charles Upton’s studies, religions have both covertly and blatantly (under the guise of “helping”) been subjected to the same interference. Jason Hartman interviews author, Charles Upton, about his lifelong studies of comparative religion and metaphysics, and what has been happening and is continuing to happen within religious sectors, particularly the move toward one worldwide religion. Charles points out the three ways that he feels religions are being controlled, including developing false religions and belief systems, like UFOs and the Mayan Apocalypse. Listen for more details at: www.HolisticSurvival.com. Charles Upton is a poet, social critic, and a lifelong student of traditional metaphysics and comparative religion, as well as a veteran of the counterculture of the 60’s and 70’s. He began his writing career as a poet; his short epic Panic Grass and his second book of poems were published in 1968. In the 80’s, he participated in the movement against U.S. intervention in Central America and the sanctuary movement for Central American refugees, and shortly afterward did a tour of duty, partly as a participant, partly an investigator, in the mass magical/populist peace movement of the New Age. Charles has written and had published 17 books, with several books on metaphysics, a topic he was introduced to through his wife, Jenny. He authored the book The System of the Antichrist: Truth and Falsehood in Postmodernism and the New Age in 2001. The sequel to that book is his newest book published in 2012, called Vectors of the Counter-Initiation: The Course and Destiny of Inverted Spirituality, which discusses the history, nature, methods and agendas of false spirituality, as seen in terms of culture, politics, metaphysics and paranormal, and includes the co-optation of both esoteric organizations and the world religions themselves. For the last quarter century, Charles has been a traveler on the Sufi path. Narrator 2: What’s great about the shows you’ll find on JasonHartman.com is if you want to learn about investing in and managing income properties for college students, there’s a show for that. If you want to learn how to get noticed online and in social media, there’s a show for that. If you want to save on life’s largest expense, there’s a show for that. And if you’d like to know about America’s crime of the century, there’s even a show for that. Yep, there’s a show for just about anything. Only from JasonHartman.com. Or type in “Jason Hartman” in the iTunes store. Jason Hartman: It’s my pleasure to welcome Charles Upton to the show. He is the author of, and this is a bit of a mouthful, Vectors of the Counter-Initiation: The Course and Destiny of Inverted Spirituality. And he’s going to talk to us about some pretty interesting stuff today. Charles welcome, how are you? Charles Upton: I am doing pretty well. I’m glad to be here. Jason Hartman: Good, and you’re coming to us from Lexington, Kentucky today? Jason Hartman: Fantastic. Beautiful place. Well, tell us about your book and your background a little bit before we kind of dive in deeply. Charles Upton: I’ve been associated for some years, loosely, with a school of metaphysicians, and writers on comparative religion known as the Traditionalist School, but now they’re starting to be called the Perennialist School. So these people you could say were founded by a French philosopher, Rene Guenon who died in I think 1951. And they’re magnificent writers on metaphysics, comparative religion and the sense that there are common doctrines underlying all the major world religions. The problem with that is when this is made, the excuse for amalgaming the religions and doing something on the order of a one world religion, or downplaying the differences between the religions, this becomes problematic. But on the highest mystical level, you might say, they’re all talking about the same reality. And these writers bring this out wonderfully. What these writers do not entirely, they’re not entirely clear on, is the state of the religions today and what’s going on in terms of various attempts by nonreligious forces to control the religions. I use the term Globalist. I think Globalists and national governments are exercising a huge amount of control over religions in the guise of we’re here to help. Or let’s bring peace between religions, and bring everybody together into an interfaith movement and I’ve got nothing against amity and greater understanding between the religions. But this is one of the vectors of the counter-initiation which is being used to control religions. And I think religions are being controlled in three ways. First, the major religions are being infiltrated, sometimes very openly. This wasn’t necessarily a clandestine thing. We’re from counsel of foreign relations; we like what you’re doing, we’d like to help, we’d like to get involved. This kind of thing. Secondly, there are certain belief systems that take the place of religion, or you would say false religions, which are being I think developed in certain globalist think tanks. And I would include among this a lot of the UFO mythology and also the 2012 Mayan apocalypse. You know? It shows every sign in my mind of being developed by people who are going to spring this on us, back in 1987 harmonic convergence, when this whole idea of the Mayan apocalypse started and they were telling us 25 years from now it’s going to be the big year, 2012. Well now we’re in 2012, so it’s as if the consciousness of millions of people were directed to a predetermined goal over a period of 25 years. And I think this is very consciously being done. And the third as I’ve already said is the interface movement, which has got some very good elements if it can bring more understanding on the local level between religious groups so there’s less violence. And less paranoia, which is wonderful. But when the religions are being brought together by nonreligious authority, which is happening more and more all the time, there’s a temptation for the religions to soft play any doctrines that separate them, which means they’re essentially aiding each other in the deconstruction of each other’s religion and of their own religion. And the amount of control they exercise in this manner of religions today is more than I think anybody is fully aware of. You know, everybody’s ready for oppression, for taking all the Jews to concentration camps, for prohibiting the practice of certain religions…that’s not the way, and that’s what the bill of rights was designed to protect us against, that’s not what’s happening. It’s being done through cooptation. And through surveillance. Jason Hartman: And so what is the ultimate goal of this? What do they want to do? Do they want to destabilize the religions? Charles Upton: They want to control people! Charles Upton: What they do isn’t in any way strengthening the religions. They’re just saying that there are certain ideas and beliefs that they want to disseminate and it’s easier to do it through already existing religions who are already talking to millions and billions of people. I mean, they’re doing that, and you know if they can exercise control over the religions, they feel they can control the populations the religions represent. And if the religions are destroyed or perverted in the process, they don’t care. They’re not interested in destroying the religions, no, they’re interested in using the religions any way they can to gain control over the populations the religions represent. Now I myself, I am a Muslim and I am a Sufi. And so I can see Sufism is defined as the mystical aspect of Islam, which is generally true. But what I can see is that Sufism is being defined as the tolerant universal, peaceful Islam as opposed to the bad Islamic terrorist. Which is true up to a point. Because the people who developed the aspects of Islam from which the terrorists have developed, you know essentially the Wahhabi movement and other similar movements have no love for the Sufis and haven’t for a long time. So there’s a real conflict there but this conflict is being exploited by outside forces of the western powers and the globalists, so to define Sufis as almost not Muslims anymore, but Universalists, and say essentially, we will help you Sufis because we love what you’re doing, because you’re tolerant and you’re peaceful, and you can, we’ll invite you to our conferences and we’ll support you. Because we don’t want these Islamic terrorists to gain any more power, to be our common enemy. And in fact if you don’t open yourselves to our help and take a certain amount of guidance from us, maybe we’ll have to reevaluate to be our common enemy. And in fact if you don’t open yourselves to our help and take a certain amount of guidance from us, maybe we’ll have to reevaluate you, maybe we should put you on the other lists, maybe we should consider you to be dangerous groups that we should be putting under greater surveillance and worrying about. So you’ll go with us, won’t you? And a lot of this is not how all this is explicitly stated, but this is the carrot stick approach that I can see happening in my own back yard. Jason Hartman: How did you develop this sort of interest in kind of the dark side of spirituality? Jason Hartman: In what year did that happen? Just give us a year. Charles Upton: That was 1963. Jason Hartman: Did you say 63? Charles Upton: 63, yeah. And since then, except for a few people in little groups who maintain what Catholicism used to be, the church has been all downhill. 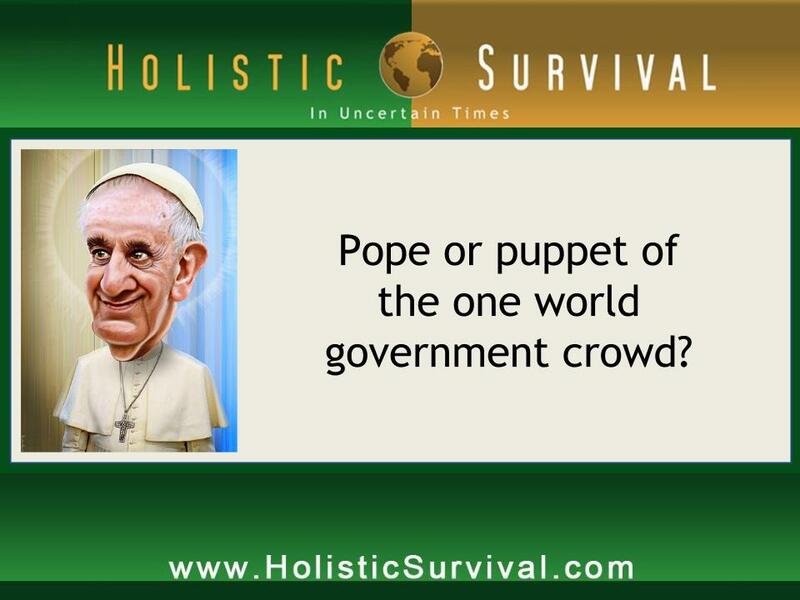 So essentially the pope recently came out with, an [0:10:07.5], which calls essentially for a one world government. It’s called Caritas in veritate. And then, yeah here we are, then one it says, main groups of Vatican organization called, it’s the Pontifical Counsel for Justice and Peace. Now this sounds like the communist manifesto, or some kind of manifesto. This does not sound like religion to me or definitely not like Catholicism. And if you know what it says in Genesis about the Tower of Babble, this document is saying the Tower of Babble shows the problems of diversity, with the confusion of tongues. What they forget is the confusion of tongues was created by God himself. Now I go on to say universal world authority brought on through anguish and suffering where diversity is in effect out lawed, a truly imposed unification is what the Novus Ordo Catholic Church, that’s what we call it nowadays, is openly calling for it. Here the Tower of Babel is used as an image of the evils of diversity symbolized by the confusion of tongues. What these so called Catholics conveniently forget is that the confusion of tongues was ordained by God himself. He prevented the completion of the tower, not to end a true organic unity, but to terminate a false, permeating unification. So it goes on. This is what God said about the Tower of Babble in Genesis, “And the Lord said, Behold the people is one and they have all one language and this is what they do?” which means build a city or a tower who’s top would reach to Heaven. And now nothing will be restrained from them which they have imagined to do. Let us go down and there confound their language, that they may not understand one another’s speech. So the Lord scattered them abroad [00:12:52] upon the face of all the Earth. Now, this is an official Vatican document which has completely inverted the obvious meaning in scripture in the most cynical way imaginable, calling for a one world government by inverting the meaning of the Bible itself. And that’s the counter-initiation. Now the counter-initiation was a term invented by Rene Guenon. He would see this happening in small…he between the wars went to almost every occult or esoteric group he could find in France at that time between the world wars, and he came out saying this is a world of evil. And he wrote some expose’s about it. And later he, like me, he was raised a catholic. He later became a Muslim and a Sufi and ended his life in Egypt. But for a while, he was doing some exposes on these groups and he called them the Counter-Initiation. At this point, they were just some shadowy secret societies that seemed to have dark agendas. Whereas now these secret societies have come out and are more openly expressing themselves in the globalist arena. One of the best books that details that is one that I edited; it’s by a friend of mine, Lee Penn, False Dawn: The United Religions Initiative, Globalism and the Quest for a One-World Religion. So, there’s a massive and very successful attempt to pervert and take over religions and this is an example coming right out of the Vatican. But it’s not limited to the Catholics by any means because the globalists are attempting to take over, one way or another, every religion. What they’re doing with Islam is they seem to be supporting the Sufis, whereas attacking the Islamic terrorists. But now we see in the Arab Spring and in Syria, we are supporting elements of Al Qaeda. The US is supporting elements of Al Qaeda. Maybe by default, but probably by design, who are involved in the opposition against all the dictators who have decided to go over to the other side, not maintain the old dictators, but coopt the movement against them. That was the idea. So we’re talking out of, the United States is talking out of both sides of its mouth when it comes to being against Islamic Terrorism. We’re against it when it’s in our interest and we’ll support it when it’s in our interest. Jason Hartman: That doesn’t surprise me a bit though. Charles Upton: Well, good. I’m glad. Jason Hartman: It’s scary though, this one world government stuff. In your book I believe you talk about the environmental movement and what that involvement is; I’ve got some of my own ideas…I’d love to hear yours about it. Jason Hartman: Like Bill Gates and his TED speech? You know with that little slip? I mean that has to be the ultimate conclusion of the environmental movement, is people are bad. We’ve got to reduce the population. I mean if you look at the Georgia guide stones, they say get it down to 500 million people. That means a lot of people have to go. Charles Upton: And with 500 million left…it’s going to be the elite! Jason Hartman: Yeah, I just keep wondering who gets to decide this question. Who goes and who doesn’t? it scares the hell out of me. Charles Upton: There’s some of the more paranoid among us that say you know there’s a deliberate introduction of chemicals into our air and water that reduce fertility. And I don’t know if that’s true. I mean, is that what chem trails are all about? I don’t know. I haven’t followed chem trails. But some people say it is. Jason Hartman: Okay, well so anymore on the environmental movement that you wanted to mention? Charles Upton: Well it’s essentially the dark side of it. And of course there’s a light side of it. There’s wonderful things that the environmental movement is doing on a grassroots level where people themselves are involved and it’s nothing handed down by the powers that be. But it’s almost like a return to human sacrifice. There were early pagan cults in which human babies or human adults were sacrificed for the gods, sometimes for a goddess. And this is like human sacrifice in the cult of Gaia, and it’s pretty dark and it is like the Aztecs, I hate to say. So that’s basically the point I’m making. And what I do then, I have a second part of the chapter where I’m looking at the Quran and talking about what a spiritual and God based environmentalism would look like that’s entirely traditional to Islam, and this doesn’t mean this is the way most Muslims think but it’s all there in the Quran if you can point it out. And I’m not saying that environmentalism is bad, I’m saying it’s being used for a terrible purpose right now. Jason Hartman: No question. I certainly agree. I think it’s another one of the tools, as you have aptly pointed out, is religion as a control tool. Charles Upton: Yeah, and the religions are all supposed to go green now. All the Sufis are supposed to be green. And you go to these nice traditional Sufi orders, they used to have nice traditional websites, now they say “Sufism is green!” Well I mean fine, don’t dispose of your garbage, don’t use too much resources, that’s all fine, but they’re falling for a globalist ideology that they don’t understand is destructive to their own spirituality, and to their own economy. You know, when the religions…we may never get a one world religion literally, but the idea is to put the religions under a secular authority, to federate them under a secular authority. Not long ago I found the council on foreign relations just to see what I could turn up by gabbing with the receptionist, and I talked about [00:20:26] like this, and she said of course I cannot officially comment, and blah, blah, blah. But then she referred to the various religions of the world as constituencies. Which means the religions must have gotten together and voted the Council of Foreign Relations into power at some time, which I don’t recall that, but that’s the way she looked at it. Jason Hartman: Well, it’s not untrue, that constituency comment is it? Charles Upton: Well that’s the way they look at religion, right? And religions…once religions start to define themselves as cultural…ways of asserting cultural identity. You hear this all the time. These are cultural identities. You know, that’s already atheism talking. Religions aren’t so I am Muslim because I want to feel like a Muslim, identify with Muslims, and dress like a Muslim and act like a Muslim, and be a Muslim and my Muslim gang coming down the street under our flag will run into that Hindu gang coming down the street under their flag, and we’re the Muslims and they’re the Hindus and we go after each other with baseball bats. That is the destruction of religion. Religion is our way of relating to God. It has nothing; it is not first a political entity. Of course it’s all within a political aspect but if you put the politics first or you give it too much prominence, particularly if you’re doing it the way the global elites want you to do it, the way they want to politicize religion, then you’re destroying it as a way of relating to God. It’s become something that has no reason to exist. Jason Hartman: Very interesting, very interesting take. Well what else would you like people to know about this? You’ve got some other books too, right? Charles Upton: Yeah, I’ve got a bunch of books. 17 or something like that. Jason Hartman: Well, that’s enough. 17 is a lot for sure. Charles Upton: Well, in line with this, this is a sequel, I would say, to a book I wrote in 2001 called The System of Antichrist and Truth and Falsehood in Postmodernism and the New Age. In that book I was writing my way out of the counter culture. I was looking at a lot of the belief systems I had held at that time, you know like the Course in Miracles and the Channeled Seth material and Deepak Chopra, and Carlos Castaneda, whom I met once. And I was meticulously deconstructing these belief systems and showing where in relation to traditional metaphysics, which is at the basis of all the world religions, they are sometimes right but often times wrong. And that was the first part of it but the second part of it was comparative epistemology where we’re looking at the end time prophecies from 8 different religions, world religions and just bringing them together. Jason Hartman: Do they all have end time prophecies. Charles Upton: Oh yes. I mean, there’s more material, official material on the anti-Christ in Islam than there is in Christianity. The prophet Mohammed talked a great deal about the anti-Christ. It is official Muslim doctrine that at the end of this age the prophet Jesus will return from the dead and slay the anti-Christ. This is Muslim doctrine that all orthodox Muslims believe. This is something that’s not known very much. So anyway, I looked at a lot of similarities in the apocalypse, you know, there’s the figure of the rider on the white horse whose name is the Alpha, the Omega, the beginning and the end, who’s identified with Christ. You go to, I think it’s the Vishnu Purana, one of the Hindu Puranas, you find exactly the same language. It’s the Kalki Avatar will come at the end of time on a white horse and his name is the beginning and the end. And I don’t know who got it from whom, or whether they both got it from a vision of the same reality, but that’s pretty interesting. So I do a lot of comparative epistemology like that. And you find anti-Christ figures, there’s even an anti-Christ figure in Tibetan Buddhism. Not called antichrist. Jason Hartman: It’s amazing that it could be that similar, you know? It really is. Charles Upton: Yeah and it’s important to recognize the differences and not gloss over them because they’re extremely important. They’re providential. God wants it to be that way. But the similarities are also very striking. Jason Hartman: Well Charles, give out your website and tell people where they can get the books and learn more. Charles Upton: Well, my website is that of my publisher, which is www.sophiaperrennis.com . You can get my books on Amazon or Barns & Noble, and also if you Google Charles Upton YouTube, you can get a bunch of my YouTube videos, three of which are devoted to advertising Vectors of the Counter-Initiation. Which are titled, Alex Jones Learn Metaphysics 1,2 and 3. Jason Hartman: Okay, was Alex Jones involved in that? Charles Upton: No, I’m just lobbying him is what I’m doing. Jason Hartman: Good stuff. Well Charles Upton, thank you so much for joining us today. Charles Upton: Good to talk to you. Male: We can pick local markets that are untouched by the economic downturn. Exploit packaged commodities investing, and achieve exceptional returns safely and securely. Male: He’s recorded interviews with Harry Dent, Peter Schiff, Robert Kiyosaki, Pat Buchanan, Kathryn Austin Fitts, Dr. Dennis Whatley, T Harv Eker, and so many others who are experts on the economy, on real estate, and on creating wealth. Is Your Health Knowledge Out of Whack?